Swine farrowing planning is the most important and most difficult task of intensive swine production. 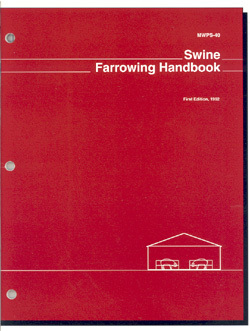 Swine Farrowing Handbook is a great resource. Concepts from nine MWPS farrowing building plans are incorporated and expanded upon. Space use guidelines, layout alternatives, and construction techniques are detailed.